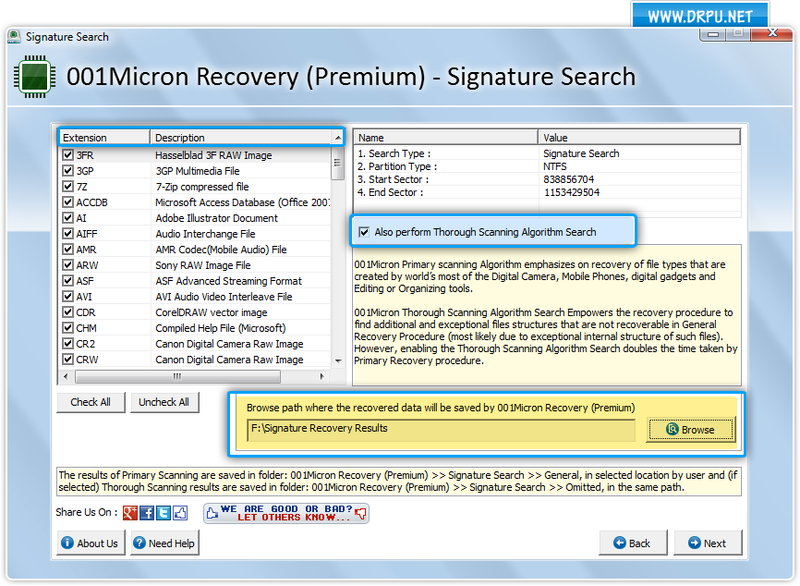 Enable “Also perform Thorough Scanning Algorithm Search” to search additional and exceptional files that are not recovered in general recovery procedure. You can browse path where the recovered data will be saved by clicking on “Browse” button. 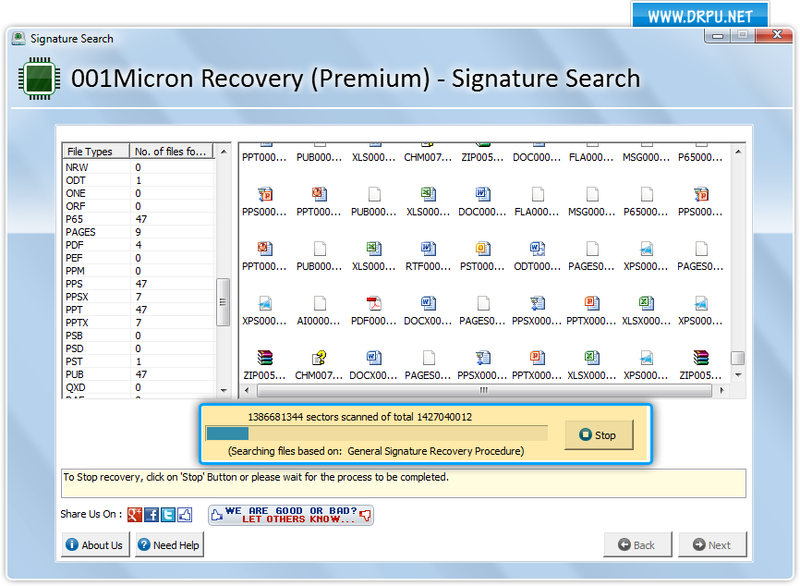 Screenshot shows current status of General Signature Recovery procedure. Click on “Open Containing Folder” to view recovered data.